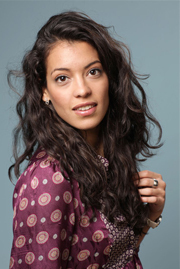 Stephanie Sigman, the Mexican actress best known to Anglo audiences for her roles in "Miss Bala" and "Pioneer", was recently cast in Sam Mendes' upcoming Bond adventure, SPECTRE. She will play Bond's contact Estrella when he is on location in Mexico for the pre-titles sequence of the 24th 007 adventure. Although the key cast were announced back in December, news of other, smaller roles has been emerging since the press conference late last year. Born in 1987, in Ciudad Obregón, Mexico, Sigman has been acting since 2006. Photos MI6 updates the image archives for Carole Bouquet, who plays the fiercely independent Melina in "For Your Eyes Only"